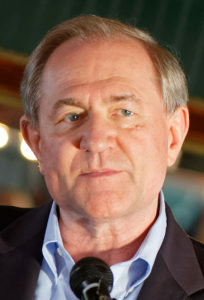 Former VA Governor Jim Gilmore will address the conference twice, sponsored by 2 different groups on 2 different topics. Additional last minute co-sponsors added for our “victory celebration” this Saturday with former Governor James S. Gilmore III at the 17th annual Freedom Leadership Conference, RSVP HERE. The Conference will be held at the Wingate by Wyndham, 3940 Centerview Dr. Chantilly, VA, off Rt. 50 near Rt. 28 and 10 minutes away from an I-66 exit. Ronald Reagan Lecture Series will co-sponsor for the first time, presenting Agustin Blazquez, who was born in Cuba and left at age 21. He resided in Montreal, Paris & Madrid, then came to the US in 1967. He was stunned by the inaccuracies of the US Media about Cuba, and began writing. Mr. Blazquez has shared his keen insights in 300+ articles and 200+ documentaries & films. He delivers a first hand account of the differences between the American freedom system and the slave system where he grew up. 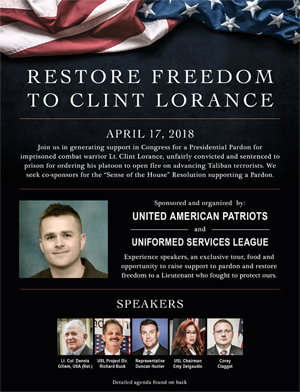 Uniformed Services League will present former candidate for Supervisor in Fairfax, John Guevara, a former officer in the U.S. Army Reserves, to speak about the terrible past treatment of our veterans under the Department of Veterans Affairs of President Barack Obama and what President Trump and the Congress should be doing to improve this treatment. USL is a past and repeated co-sponsor of the Conference. Conference Luncheon remarks by Gov. James S. Gilmore III on the conference theme, “What do we conservatives want” are hosted by a higher level SPONSOR of the conference, Secure America Alliance, a repeat, past sponsor and co-sponsor. Gov. Gilmore will be introduced by Secure America Alliance Executive Director Ronald Wilcox, who is also on the Conference Leadership Council. Gov. James S. Gilmore will speak again as the Conference Keynote Speaker to focus on Homeland Security Recommendations, with the higher level SPONSOR of the conference, U.S. Intelligence Council, the original founding sponsor of this conference 17 years ago when it was called Western Conservative Conference on the west coast. The USIC Projects Director, Richard Buck, will introduce the speaker. Mr. Buck is also the conference Event Coordinator. Lunch $17, Deluxe Premium Boar’s Head Artisan Luncheon, read previous article scroll down or click HERE. Advance Reservation Required, no admission without it, click here RSVP. The Conference Flyer is on this website right hand side, near the top.